Why not head to the beach and try something completely different! 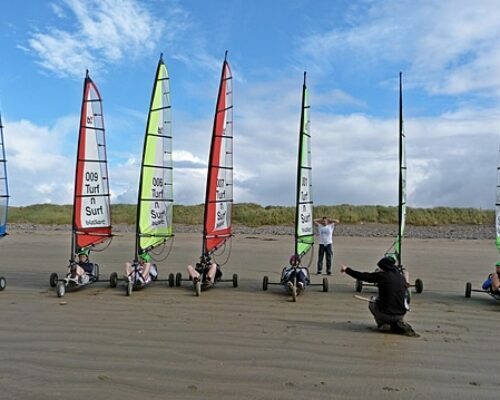 Blokarting is a bit like dingy-sailing and kite-buggying combined. It is a 3-wheel kart with a sail attached and is very manouervable so is a great outdoor activity for everyone! Under the instruction of a 3 times British Blokart Champion, you will get to grips with your kart no time! A great activity for a birthday celebration and also suitable for families, so what are you waiting for? Give it a try today! Once you have got the hang of it, these blokarts are capable of reaching speeds of around 40mph, so this really is a great new activity to blow out the cobwebs!